“Hello to all our friends that join us from the far corners of the globe. We are immensely grateful for your positive response, support and encouragement in the life of She Shoots Film. And She Shoots Film is largely defined by the community that joins us in featuring and celebrating film photography by women. We are nothing short of delighted to announce that we are now opening She Shoots Film up to our friends. 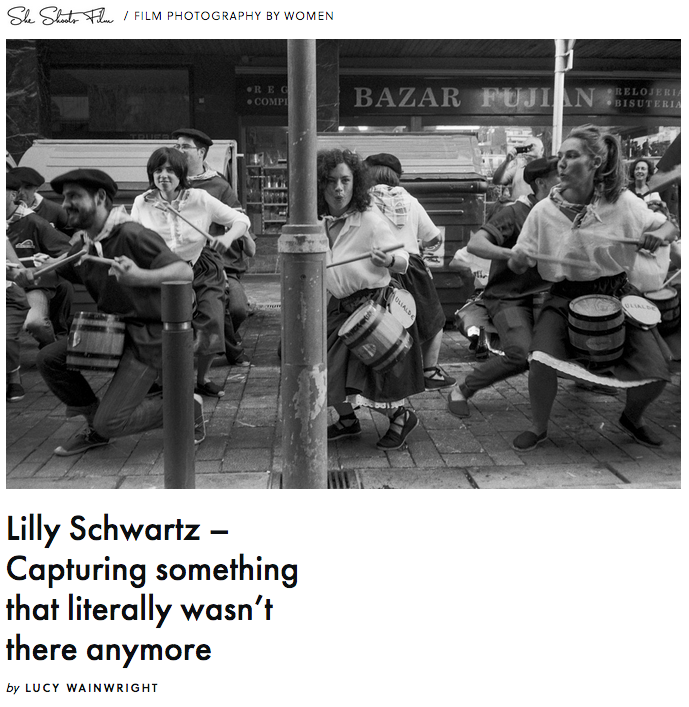 I (Aliki) would personally like to extend a tremendous thank you to Lucy Wainwright and Lilly Schwartz for joining me to create She Shoots Film. Please read Lucy and Lilly’s interviews to get to know them a little more. After all, without the human presence behind something, you really only have a window. I invite you to come and step through the window to have a look around and gain more insight. I would also like to send a huge thank you to Deborah Candeub, Amy Jasek and Aimee Lower for being our all important foundational interviews. Speaking from my own personal experience, each one of these women is not only intensely talented, but passionately committed to the medium of film photography. And they have always been open and willing to provide their experience of the practice by regularly engaging in thought provoking conversation. And this is what makes it so special to be creating something like She Shoots Film. The medium. The practice. The intricacies. The relationships. I am very proud to be part of this and want to thank Aliki and Lucy for allowing me to contribute. I also want to express my appreciation for all their hard work! Both of them have been slaving over the website and content so much over the last few weeks! You girls are awesome! I believe that this is the start of something great, I just feel it! Not interested yet? Well, maybe the next link will inspire you, since it’s a link to an interview with me about my work and about my motivations to join She Shoots Film. Or maybe you are interested in my interview with Amy Jasek, whose work just blows me away? Of course I will let you know when more of my writing appears over at She Shoots Film in the future.